Every June the staff and students at Anglo-Czech High School, where I taught way back in the 1990s, celebrate the end of the school year with a garden party. This year's programme included a prizegiving ceremony, skits, musical performances and a haka. This is my haka crew, from tercie class, after our final rehearsal. They did a great job picking up the moves and learning the words in just a few hours. Before I left New Zealand I had some training from Mori Rapana at the Waitangi Treaty Grounds to make sure I taught the haka properly and respectfully. Kia ora Mori! 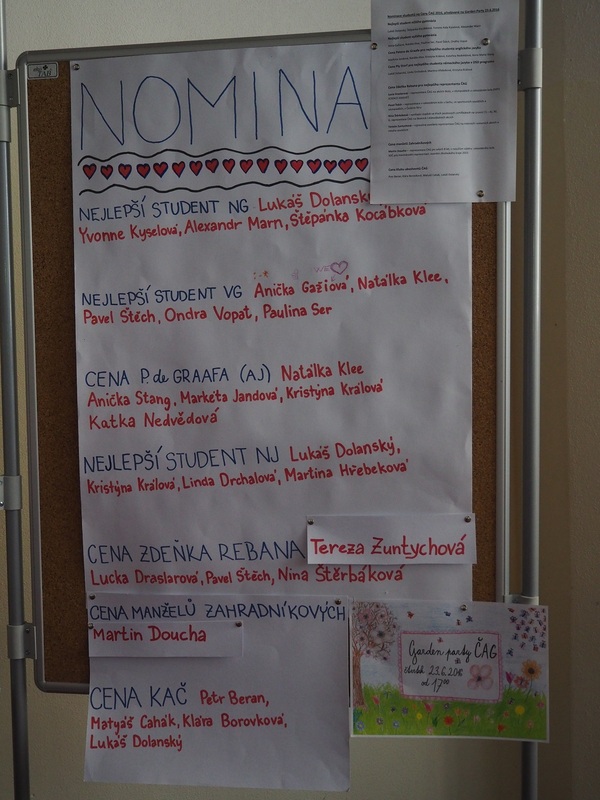 Each year I sponsor a prize for the best student of English, and this year's winner was Kristýna Králová. 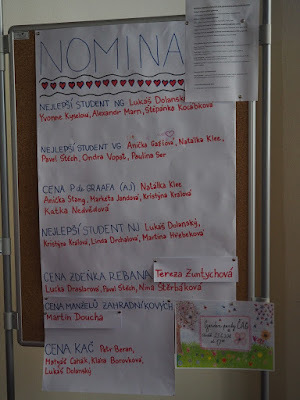 Well done Kristýna!